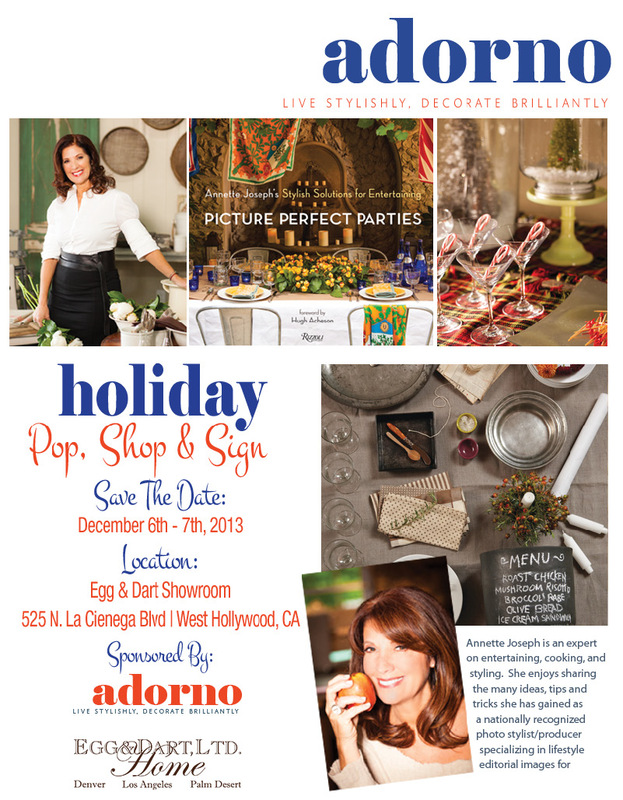 The Egg & Dart Showroom will host a holiday event with Adorno Magazine on Friday Dec. 6 and Saturday Dec. 7 featuring unique gifts curated by top designers such as Annette Joseph, Lea Wood, Jodi Tinkler, and Eric Cohler. Custom gift wrap will be available. 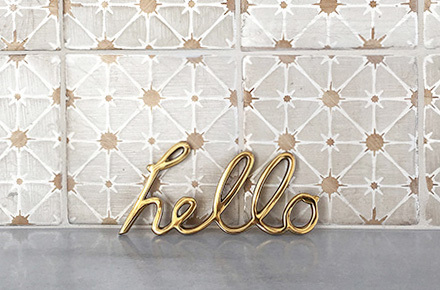 The Holiday Pop, Shop & Sign at Egg & Dart will be open Friday, December 6th from 9:30 am – 8 pm. From 5:00 pm to 8 pm enjoy a free cocktail reception with entertaining expert Annette Joseph, who will be signing copies of her latest book, Picture Perfect Parties. On Saturday, Egg & Dart will be open from 9:30 am – 4 pm, and Joseph will lead a free floral and tabletop workshop from 11:00 am to 1 pm. Make sure to RSVP for you and a friend! 525 N. La Cienega Blvd. 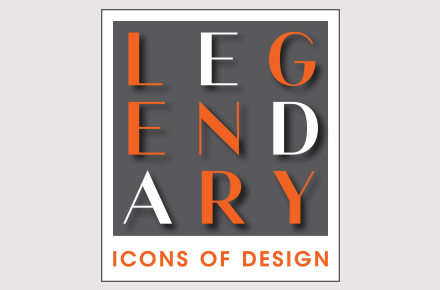 Check out Judith Hoffman’s interview with Dering Hall, on Szalon’s “Revivals Line” of Deco-inspired furniture for Modern Living!